Part and parcel with a superhero movie is the implication that the hero can only come in and save the day when the day is in need of saving. If there is no direct threat on the innocent, maniacal villain to overthrow, or corrupt bureaucrats to weed out, then there is also no need for a caped crusader or otherwise. In the world of professional Counter-Strike, the same dynamic seems to occur. When Astralis is present and order is maintained, the superstars sowed amongst their rivals are nowhere to be seen. Or more accurately, are so effectively suppressed they seem to be invisible. As a result, the blunt way many people characterise Astralis’s era makes sense. They aren’t ‘boring’ in the way they choose to play a round. They’re boring because they put a stop to the excitement that is latent in the uncertainty of stardom. Their dominance is so much so that the superhero is nade-stacked before he can even find a hidden button underneath a statue to open the secret lair. As a latex’d force comes swinging into frame one second, fly-kicking a goon in the process, he’s effectively flashed and traded a second later. The Danish red star is far brighter and more effective at maintaining order than the bat signal ever managed to. It’s in their absence though, that we’ve started to see the disintegration of stability. And, to the delight of many, an increasing pressure on the superstars of the game to come and save a day genuinely in need of saving. At the last two big international events featuring top teams (but not Astralis), we’ve seen the game’s most impactful stars, and as such, their team’s biggest heroes show-up fantastically. In-lieu of the crimson shadow, the likes of TwistZz, Niko and s1mple have all seemingly found the breathing room to frag. From s1mple’s ridiculous 1.45 rated EPICENTER campaign, to TwistZz tragic 1.36 ESL One New York 2018 MVP second place, the big guns have flashed back into the public sphere. This isn’t even to mention the absurd, one-tapping, skull cracking impact of NiKo across both events, with his 1.33 rated EPICENTER run earning him the MVP also. The shutdown power of Astralis’s unrelenting, always evolving CT-side or the constricting, innovative force of their T game is absent at these tournament. As such, there is definitely more room for top players to dance up higher ratings. When the parents are out, the kids can play. There is more at work however, than solely the Danish absence which has caused the recent explosion of form amongst from the game’s best. While their lack of attendance at these big tournaments has backgrounded the rise of the superhero, the case-by-case issues and context of each team is more at the forefront. To investigate, let's take a look at the most recently dominate of these stars and how his rise sits in parallel to the lack of Danes. The most winning of the heroic trio is currently also the most Bosnian. NiKo, since taking up the reigns of in-game leader at the FACEIT London major has also seamlessly maintained his world-class level of impact and fragging. Highlight maps include, at New York, a 110+ ADR game against G2 on Inferno - one in which they lost. And his 30 bomb against NiP on Overpass at EPICENTER; a map and tournament FaZe would go on to more fortunately win. Big maps from NiKo though, have never been unique. It’s what he’s always done. The interesting dynamic is how he’s doing so while also changing the flavour of FaZe overall in the process. The mix-team under his leadership has moved away from their historical more mid-round-y, default-orientated ‘we-have-the-best-man-for-man-team-in-history’ approach. This style had become outdated in contrast to the more nuanced and evolved games of sides across the board - especially in the tier two. Far more teams seem far more comfortable in understanding how to play map control in more complicated situations. There is shrinking ignorance as to the importance of team cohesion in 2v2 and 3v3 scenarios. FaZe aren’t afforded the same leaky holes in lower tiered teams CT sides, or lacking firepower and strategy on their T-sides. As such, Niko’s approach has managed to find round wins in a different way. That’s not to say though, that their NiKo dictated play style is some wholly foreign beast. As NiKo has implied throughout the stand-in phase (faze? ), he favours structure and experience *cough* Xizt *cough* over pure individual skill and aim *cough* cromen *cough*. This preference though, doesn’t translate into the total execute focussed, late-round splitting side you might expect. Instead, FaZe still play to their strengths but with a more system-orientated after-taste. FaZe, in the moment. are a team who execute a lot, but keep the game short and exciting. They often will rush strats out of spawn, go for neck-snappingly fast map control and in-general create a lot of pressure onto key positions early. Sometimes, like we saw throughout New York 2018, this results in a complete shut-down. NRG found no difficulty in pressuring the initial set-ups of FaZe and crushing them in the same man-for-man way FaZe looked to do to vice versa. Rushing areas like conn on Mirage, or water on Overpass are effective in changing up the status quo of a half - not necessarily defining it. At the same time though, as we saw at EPICENTER, this early execute approach can result in a devastating vintage FaZe run. 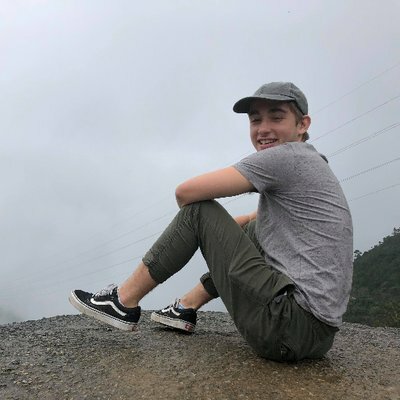 The same explosiveness and predictably fast pace of FaZe that was shut-down by teams outside the top eight in New York caused them to blitz the EPICENTER playoffs without dropping a map. From last place at one event, to winning the next. FaZe’s approach seemed to always be a step ahead of the apparent second and third best teams in the world. Or maybe it wasn’t FaZe’s new approach as much as the individual showcases inside of the new FaZe system. At EPICENTER, although they peddled a Mirage T-half that looked almost identical on-paper to their 5:10 lost half to NRG at New York, they crushed Na`Vi and Liquid 10:5 and 9:6 respectively. In both of these showings, we saw immense individual performances across the board from FaZe. There was an overwhelming number of big site holds, post-plant headshots, and huge clutches from all the big names. How long was it since you last remember Guardian being in the headlines for insanely impressive performances? As well as NiKo? As well as Karrigan? As well as Rain? As well as Olofmeister?! There was scarce a bad map to be found amongst the mix-team’s stars. If these last two events has been the rise of superheroes in-spite of Astralis, then FaZe in Kiev became the Justice League. But their capes will only dance in the wind for so long. 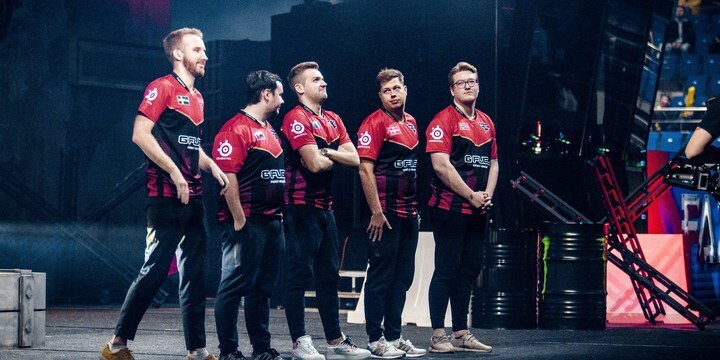 Given the shocking similarity in underlying structure between the events, FaZe’s contrast of last place/trophy play is more a credit to their line-up than leadership. NiKo’s new system likely gave the side a mentality boost and fresh feel which enabled individual success. It also inherently plays into a snowball effect. Getting ahead and gaining economic momentum affords you the room to set fast-pace strats as the norm, and then use slower mid-control set-pieces to break it. Rather than vice versa to grind back into a half. This is the exact same principle that saw Optic briefly ascend into the heavens at the end of 2016. As history will remind us though, the size of this snowball can quickly turn from life-threatening to wet sludge in-lieu of individual superstar talent. When RUSH, NAF and tarik stopped over-performing on international stages, so-to did Optic. Fortunately for FaZe, their three names of Niko, Guardian and rain have more of a pedigree of consistent play than the North Americans. But that’s not to say a similar pattern won’t affect them. In this sense, the lack of Astralis has definitely facilitated the rise of FaZe’s superhero-like performances from NiKo and co at EPICENTER. It’s undeniably easier to play a loose, fast-execute style of CS against an over-confident, insecure Na`Vi than space-denying, punishing Astralis. The Danes did not, and will not however, trigger, define nor end this FaZe run though. The key actor in all of these actions will be FaZe themselves and their inability to turn away from the latent shallowness of their win conditions, and inflexibility of such a long-standing line-up. I think it’s more likely we see FaZe beat Astralis in a Bo3 than win another tournament. Their style is potentially overwhelming enough to beat the Danes in one spectacular Bo3, but the same can not be said for another EPICENTER-like run over the course of multiple series. Liquid and Na`Vi will learn from their mistakes, and others possess the talent to match them under the right conditions - as NiP briefly showed. So while NiKo, and FaZe overall might be back, it’s only a matter of time before Astralis is as well. But don’t mistake the fall of future fall of FaZe as a direct cause of the Danes return. Even though they have been the hand which has suffocated the life out of most of CS:GO’s biggest stars, the fate of FaZe has already been set by precedent of their own leadership. But in their dying grasps, and in a vain attempt to overthrow Astralis, we might still see a superhero emerge - only if he is eventually defeated. Astralis could very well remain the best team in the world, but with a more individuated FaZe, this reign at the very least won’t be boring.